Volatility is low in the Forex markets at present, and most pairs are essentially directionless. This is a periodic phenomenon that will correct itself but in the meantime care must be taken to ensure that one is not in the market purely for the sake of having a position. 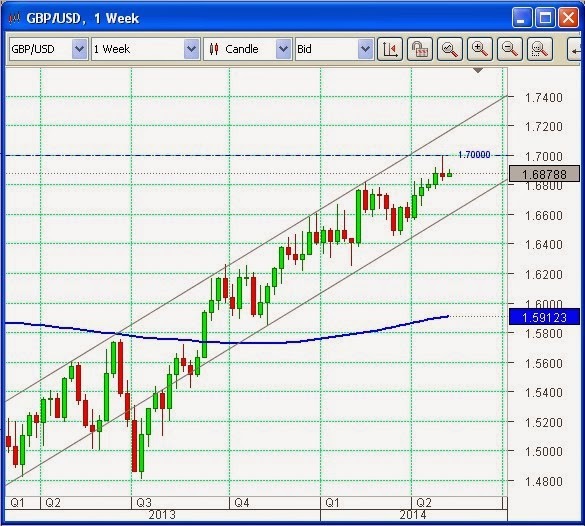 A good example of a stalled trend is Cable, or the GBPUSD pair. This instrument recently reached levels that have not been seen for many years, so it is reasonable to expect that there would be some consolidation before it moves higher still, if indeed that is its destiny. In the meantime it is in the middle of a trend channel, whereas we would prefer to enter long when it approaches and rejects the bottom of said channel. On top of that, the rate has bounced off the psychologically important 1.70 price point (a nice round number), so that is clearly a level of significant resistance. A time to keep our powder dry. 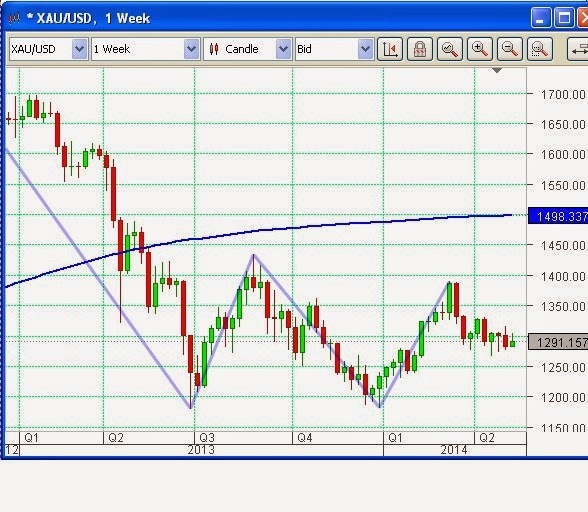 We will, however, be monitoring the situation in this, and all other currency pairs, very carefully. We have only ever been sellers of gold, and would like to be on the short side now too. However, the situation in Ukraine, while largely ignored by many other market sectors, most notably equities, seems to qualify as a geopolitical crisis of the sort that makes many investors seek out the traditional “safe haven” that has been gold. The idea here is that if there is a meltdown in the global economy as a result of the resumption of the cold war (or even the start of a hot one) between Russia and the West then gold is the one commodity that is expected to keep its value. At least, that is the theory of the thing. Why this should only apply to gold, at time when it is not even the basis of the value of the world’s currencies any more, is hard to figure. In any event the end result has been a firming of the gold price leading to a technical situation where a short position in the precious metal would involve unacceptable risk at the present time.